Discover our exceptional services in a luxurious ZEN atmosphere. Choose from a variety of techniques and indulge yourself with a massage in one of our 5 treatment rooms. Ono Spa in Tremblant offers a range of other spa treatments from body wraps, manicures, and pedicures to facials all performed by licensed professionals. Treat yourself to a relaxing message or body treatment in one 5 treatment rooms. Conveniently located just minutes by car from Tremblant Resort & the Old Village. Enhance your experience and enjoy a healthy meal after your treatment at our cafe. Indulge yourself with a treatment tailored to meet your special needs. Whether to improve your circulation, help aid in the healing process, reduce your stress, relieve tension and chronic pain or purely for rest and relaxation, we offer a massage technique to suit your needs. Enjoy full-body nourishment with a calming body wrap or scrub designed to remove toxins and detoxify while moisturizing and reviving your skin. 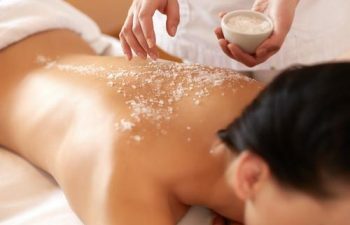 Our rejuvenating body treatments will leave your skin glowing and you feeling refreshed, revived and completely renewed. 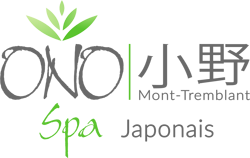 Ono Spa Tremblant facial combine spa therapy and massage leaving your skin cleaner, softer, and you feeling younger and truly transformed. Our rejuvenating facials are a great choice for both men and women and will replenishing the skin and improve the overall tone and texture of your complexion. L’Essentiel Salad & Juice Bar serves healthy juice, smoothies and quick bites prepared daily using fresh and mainly organic ingredients. It is the perfect place to fuel your body with an energizing smoothie before a workout or a healthy snack to boost the effects of your treatment. For those of you who like to work through stress at the gym, Ono Spa Tremblant also offers a state-of-the-art Fitness Center featuring the latest cardio equipment and free-weights. There is a separate room with floor space for stretching and yoga. Just outside of the clubhouse is a pool and spacious sundeck ideal for relaxing and catching some sun in the summertime. Grab a lite bite or a delicious smoothie from our Health Bar and relax in under the shade after your massage. We suggest arriving 15 minutes prior to your appointment time to give you time to change and place your belongings in a locker. Upon arrival a robe and sandals will be provided to you in addition to a locker to store your personal belongings. Don’t forget to bring your bathing suit for the Jacuzzi and during the warmer months for the outdoor pool. To maintain a relaxing spa environment for all guests, we encourage everyone to turn off their cell phones and leave them in their locker for the duration of their visit.. The prices displayed for services do not include taxes or gratuity. A 5% GST will be added to all services and gratuities are at your discretion. soothing facial, fresh manicure, or body-wrap.